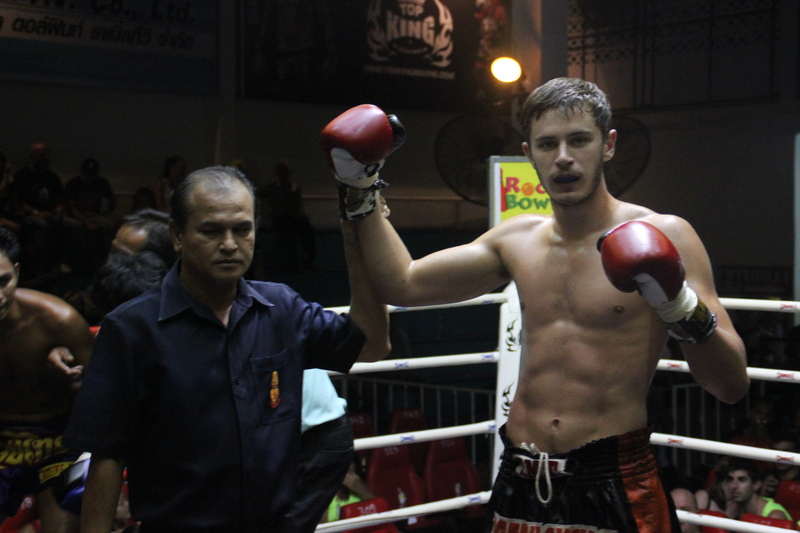 Fighters from the Tiger Muay Thai and MMA Training Camp in Phuket, Thailand have been on a roll recently and Monday night’s bouts were no exception with two of our own having their hand raised. Miki’ala Freitas of Hawaii, USA and Jamie Davis of London, England rocked the house with two decisive victories at Patong Boxing Stadium. Davis, a 21 year-old, continues his undefeated strike he started when he first came to the camp over a year ago. Squaring off against 25 year-old Thai national Banyat, a veteran of 67 fights, Davis showed great poise and dominated in the clinch. He dropped Banyat in the second round with a devastating right hook, giving Davis a perfect 5-0 record. For Freitas (4-1), it was a return to the very same stadium where she has yet to lose and was looking to keep her perfect record at Patong Boxing Stadium. The 25 year-old got into a tough fight with Thai national Phokaew, a veteran of 35 fights. The bout was a four round banger that saw Freitas and Phokaew deliver heavy knees to each other from the clinch for much of the fight. Phokaew delivered some heavy shots to the body in the beginning. 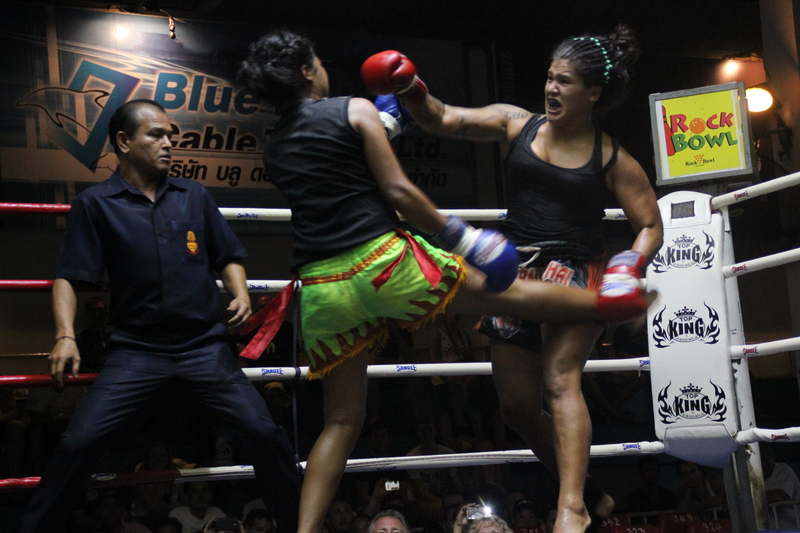 Freitas ended the fight in the fourth round after some swift kicks to the leg, while pushing Phokaew in the corner and working on her lower body for much of the fight.